Although the #10YearChallenge is no longer sweeping the internet, throwback photos are still as popular as ever. 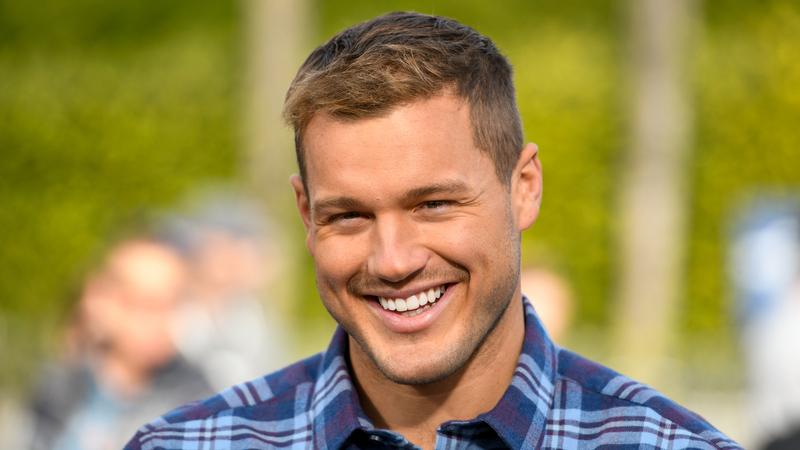 On Wednesday night, The Bachelor Colton Underwood posted an old photo on Instagram side-by-side with a more recent one and his transformation is hard to believe. “It’s crazy what a tailor and some confidence can do for a person,” Underwood captioned the two photos. In the throwback, he wears a white tuxedo and a grimace, which suggests the photo may be from his high school prom or some other formal event. In the new photo, Underwood wears a more fitted blazer and smiles for the camera. Of course, Underwood has gained a reputation for his good looks since he competed on Becca Kufrin’s season of The Bachelorette. These photos prove that he really did have an “ugly duckling” transformation, which he talked about on the Jan. 15 episode of The LadyGang podcast. Since his throwback photo was taken, Underwood has gone through non-physical transformations, too. The former NFL player also told the LadyGang hosts about his first love, Olympic gymnast Aly Raisman, admitting that their relationship and subsequent break-up had a huge impact on him before he joined Bachelor Nation. As Underwood searches for the love of his life on The Bachelor, he seems pretty open to further transformation in his life, which is a good thing.